Salvation Sisters: Products We Love: Isi Whip-It! Products We Love: Isi Whip-It! 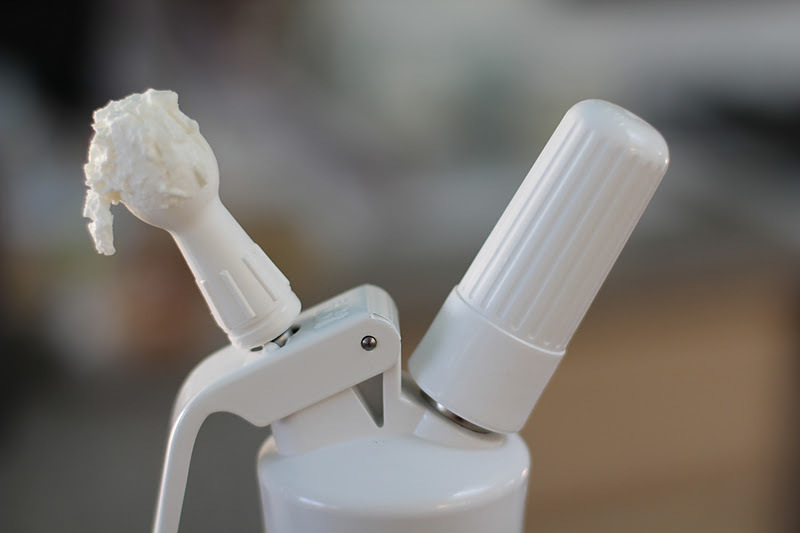 This is a magic whipped cream dispenser. The Isi Whip-It! spreads joy throughout the land. Think of this gadget as the Pied Piper of kitchen equipment, where it goes, the children and adults follow. Simply fill the canister with heavy cream and one shot of sugar syrup, such as Flavorganics Vanilla (my favorite). Screw on the lid, insert a N2O charger into the appropriate compartment, gently shake 4 or 5 times and instant-presto you've got whipped cream for the dispensing. An added bonus is that cream stays fresher in the Whip-It!... about 7 to 10 days under refrigeration. The Isi Whip-It! is a perfect holiday gift. 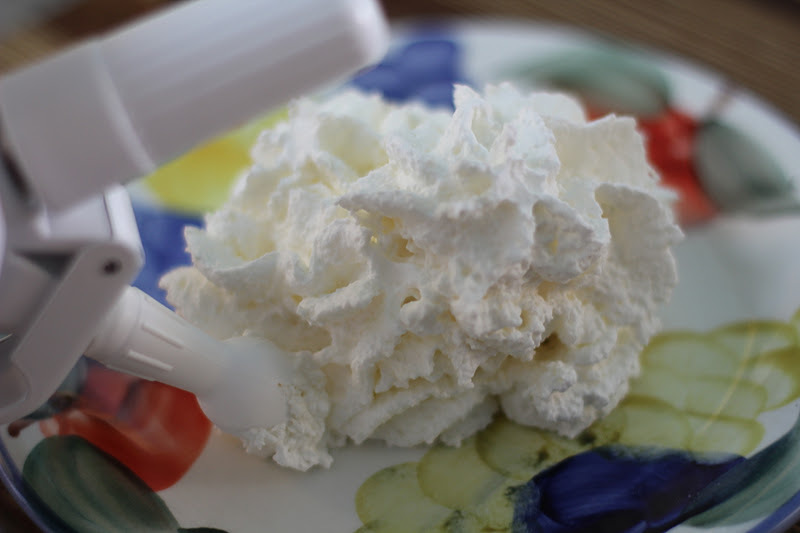 Few can resist the charms of freshly made whipped cream. When I get up at 5:30 or so, log on and go down the line of blogs (yours is the third) I feel like I am having a morning coffee with one of you and a down home chat. As usual, good story and great pics. I WANT that whipped cream dispenser!!! !